Cheryl Charles, Ph.D., is the Co-Founder, President and CEO Emerita of the Children & Nature Network. In this blog, she shares what children gain from time spent in nature. The Campaign for a Commercial-Free Childhood makes a wonderful contribution to children’s health and well-being by promoting and celebrating the benefits to children, their families, and whole communities by going screen-free for one full week every spring. How much screen time a child experiences is a family choice. However, it is evident that children’s use of screen-based technologies is out of balance and excessive in the lives of many children today, to their detriment. One of the most important sources for supporting children’s healthy development is as easy as opening the door and going outside—it is the natural world itself. Nature is all around us, even where we may least expect to find it—from backyards to city neighborhoods to rooftop gardens to suburban parks and walking trails. Why is it important and fun for children to have frequent and varied opportunities for play outdoors—and especially outdoors with natural vegetation—as a part of their everyday lives? Children tend to be happier, healthier and smarter. They tend to do better in school. They are more self-disciplined and focused. They are more self-confident, creative, and cooperative. They are better problem-solvers and they are more optimistic. And they are more physically fit. Family ties are strengthened, a sense of community is nourished, and a sense of place is cultivated. Children who have the opportunity to play outdoors, alone and with others, learn their limits and gain confidence through experience. One of the keys is the opportunity for unstructured play—play where children decide what to explore and what to do—on their own terms and by their own choices about what is interesting, fun, and intriguing. Time disappears, no one is bored, and adventures build on one another. Part of what builds independence, confidence and self-esteem in children and youth is the ability to make choices and to learn from the results. Sometimes risks are taken—choosing to climb a tree, hanging onto a rope swing, jumping over a log, taking a steep climb, staying out until near or past dark—all of these are experiences in which children learn more about themselves, and what to do in strange and new settings. These experiences are a foundation for lifelong capacities for independent decision-making and resilience under pressure. One of the most needed skill sets for success in today’s world is the ability to work with other people—constructively, cooperatively, and successfully. When children play together in the outdoors, especially together in natural settings where they need to invent the games and have real problems to solve, it cultivates their team work, cooperation, and social skills. There is no question that regular, frequent opportunities for unstructured play outdoors in nature make it possible for infants and children to develop the basics of support for their cognitive, social and physical development. And there are emotional benefits too. Going outdoors, in the fresh air—whether on a windy, cold winter day or a balmy day in springtime—the results usually bring a feeling of relaxation and peacefulness. This is important for everyone, and is especially important for children in their growing years. Studies from children to adult workers show that attention and focus are increased, accuracy enhanced, productivity increased, and stress reduced when people of any age take a break and get outdoors. So take a break and participate in Screen-Free Week 2019! Cheryl Charles, Ph.D., is an innovator, author, organizational executive and educator. 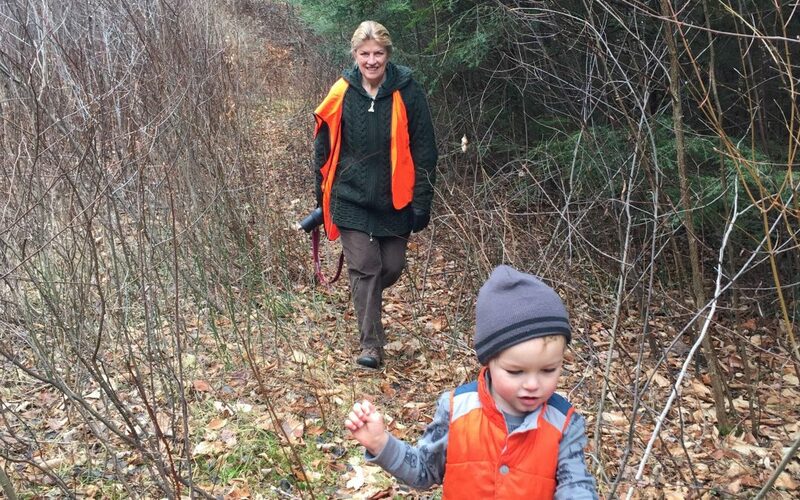 Cheryl is the Co-Founder, President and CEO Emerita of the Children & Nature Network (C&NN). She currently serves as a consultant to the Network, coordinating the Network’s international activities. Cheryl is also Adjunct Faculty and founding Executive Director of the Nature Based Leadership Institute at Antioch University New England (AUNE). Recipient of numerous awards for her leadership, she served as founding National Director of the pioneering K-12, interdisciplinary environment education programs, Project Learning Tree and Project WILD. Cheryl is author, editor and designer of a wide variety of publications including books, articles, and educational materials.